Rotary drilling rigs are used in multiple applications in the deep foundation engineering. The hoist rope and/or auxiliary hoist rope is a key element of the rotary drilling rig, and the TEUFELBERGER experts are well aware of the responsibility this entails. 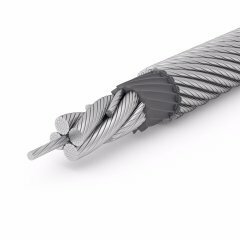 The high performance steel wire ropes developed by TEUFELBERGER specifically for rotary drilling rigs feature the demanded properties such as high rotation resistance as well as extreme resistance to wear and damage caused by external influences. This makes rotary drilling rigs on site cost-effective, easy to service and safe. 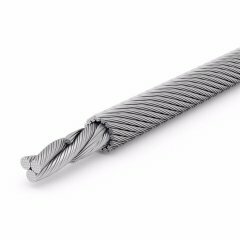 TEUFELBERGER high performance steel wire ropes used as hoist ropes and auxiliary hoist ropes are fully compacted with plasticized steel core, robust, flexible and able to carry extremely high loads. All these properties benefit the service life of the rope and hence the service life of the rotary drilling rig. For many years, high performance steel wire ropes have been used as hoist ropes and/or auxiliary hoist ropes on rotary drilling rigs. 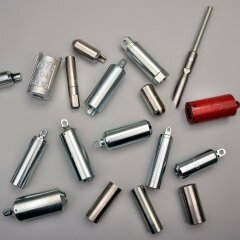 Tested rope end terminations such as button sockets for commercially available pouch sockets, solid thimbles, as well as tests and acceptance certificates round off the rope solutions delivered by TEUFELBERGER.